It’s a miracle. After years the UK broadcaster BBC has arranged a real national final “You Decide”! Even if it has only been broadcasted on BBC4, this was a great live show with a sold out venue in London. The atmosphere was phenomenal. 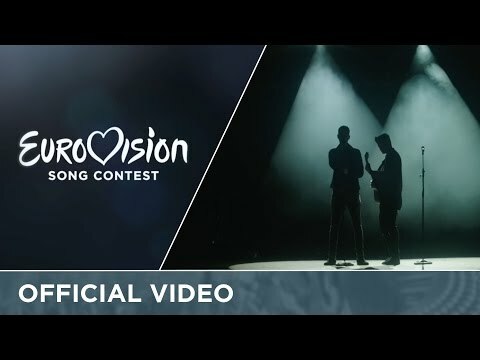 In the expert jury there has also been the last UK winner from 1997 Katrina Leskanich from Katrina And The Waves (Love Shine A Light) Out of six hopeful contestants, the most authentic entry could achieve the majority of the televotes: Joe and Jake with “You Are Not Alone”. Let’s hope that the UK and the BBC will find back their successful way in Eurovision. Joe and Jake is a sympathetic male duo, who actually remind a bit of the younger version of the Danish Olsen Brothers. Joe Woolford (21) and Jake Shakeshaft (20) have met at The Voice UK 2015 and ended up a duo at the end of the show. Since then they are a duo and work together. Representing the UK at Eurovision is going to be the absolute highlight in their careers. It will be the 59th time for the United Kingdom in the Eurovision Song Contest in Stockholm this year. The UK had its debut in 1957, one year later they could win for the very first time, when the Eurovision Song Contest was still called “Grand Prix d’Eurovision de la Chanson”. In 1957 the United Kingdom has withdrawn, so it’s one of the participating countries with the longest stand in the ESC history. The BBC had the honour to organize a special concert with previous winners and participants in March, 2015. It was a fulminant show with a lot of memories and melodies with an enthusiastic audience in the Apollo Hammersmith Theatre in London. Unfortunately, this concert has not been broadcasted live and the show was not broadcaster all over Europe. Over the years the United Kingdom has become one of the most successful countries with five victories and 15 2nd places and 41 Top10 placings. Especially in the 60’s and 70’s the ESC was very important for the UK music market, but this has changed a lot. Nevertheless the UK entries have mostly been contemporary and radio friendly and many of them have became great hits or even evergreens. The English speaking countries always enjoyed the language advantage. Since the language rule has been eased, the United Kingdom, Ireland and Malta have suffered a lot, all countries are able to sing in English or any language of their choice. Additionally the general interest has been impacted as well, which is mainly due to the funny, sarcastic and snappy comments of the BBC commentator Terry Wogan, who unfortunately passed away at the end of January 2016. 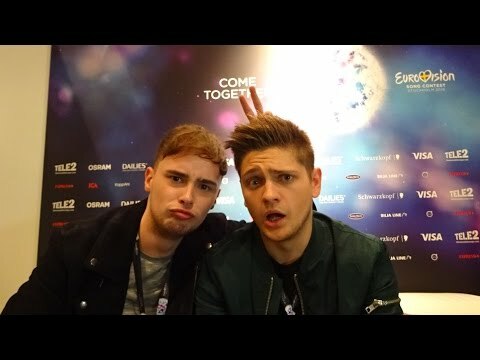 There was less good will and appreciation, unfortunately the music of the ESC has been put in the trash corner with the consequence that this music event is not being taken seriously anymore. With the effect that established singers and composers make a wide berth around the ESC. Even if the BBC has send Blue, Engelbert Humperdinck and Bonnie Tyler as “old weapons” into the contest, it did not bring the old glamourous times back. It seems those singers have only been taken part for reactivating their careers. There are so many talented singers and composers in the UK, those should be motivated and encouraged instead.